Princes William and Harry have been through testing times in their lives, but it's clear the two men are incredibly close. 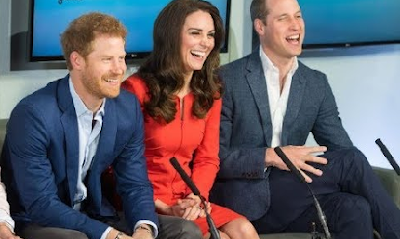 What many people might not know is that Harry made a lovely sacrifice for his big brother when William asked Kate Middleton to marry him in 2010. After the death of their mother, Diana, in 1997 the boys were taken to choose a "keepsake" from her belongings in Kensington Palace, according to reports from a source 'close to the Royals'. “William picked his mum’s Cartier watch, and Harry picked her sapphire and diamond engagement ring," the source told the Daily Star. Harry was just 12 when he chose to keep his mum's engagement ring. However, as William was the first to get engaged he gave it up so his older brother could offer it to his bride, Kate Middleton. “They had an agreement that whoever got engaged first would have Diana’s ring – and of course that was William and Kate," the source added. So what happens if 32-year-old Harry now chooses to propose to girlfriend Meghan Markle? There are rumours he will choose one of Diana's tiaras to make into an engagement ring, presumably by taking out a jewel or two.